The best pergolas for small patios are multi-purpose. When my parents sought a townhome in the city (as part of their quest to live in a more walkable area than the sprawling town they had been living in), they were thrilled to find that their top pick had a small patio and “micro yard.” It was this outdoor space that sealed the deal! But actually decorating and making use of that small space would prove to be quite challenging. So how do you balance these two factors? Well, it is achievable with the right strategy, and my parents’ strategy involved a pergola. 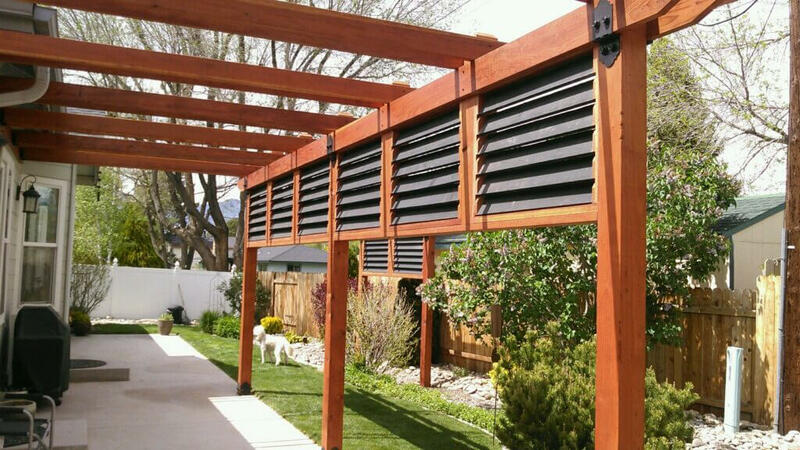 Pergolas are ideal for small patios and tiny urban yards because they offer structure to your outdoor space without adding solid visual barriers like you would with something like a wooden stockade fence. You can see through the open and airy rafters of a pergola, and that makes it possible to avoid creating a space that feels small and boxed in. We came across a lot of pergola ideas for small patios in our research, and here are some of the ones we liked best. The long, narrow pergola. 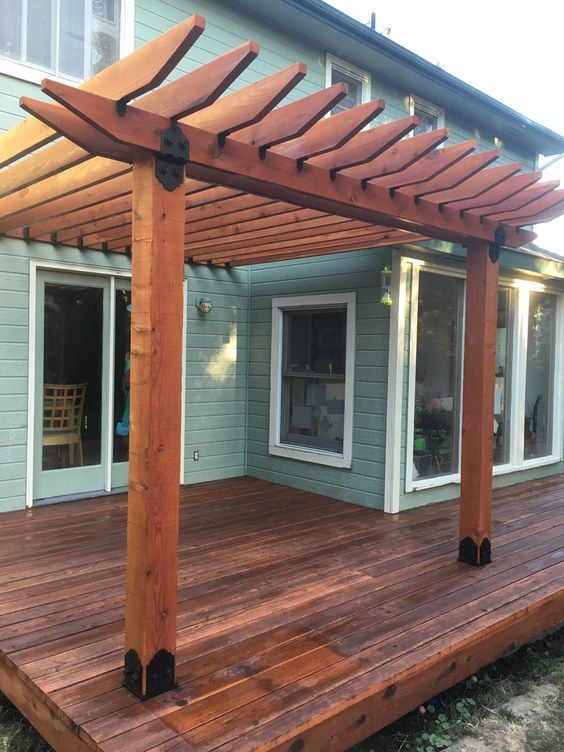 This style of pergola runs the length of the patio, directly abutting your home to create a lovely sitting area. It’s a more open, airy version of a farmer’s porch…sans the porch! If you choose to train ivy to climb atop the roof trusses, you can also create a pergola that serves a function similar to an awning or overhang. Small spaces are best served by structures that serve a dual purpose. The pergola that integrates other elements. 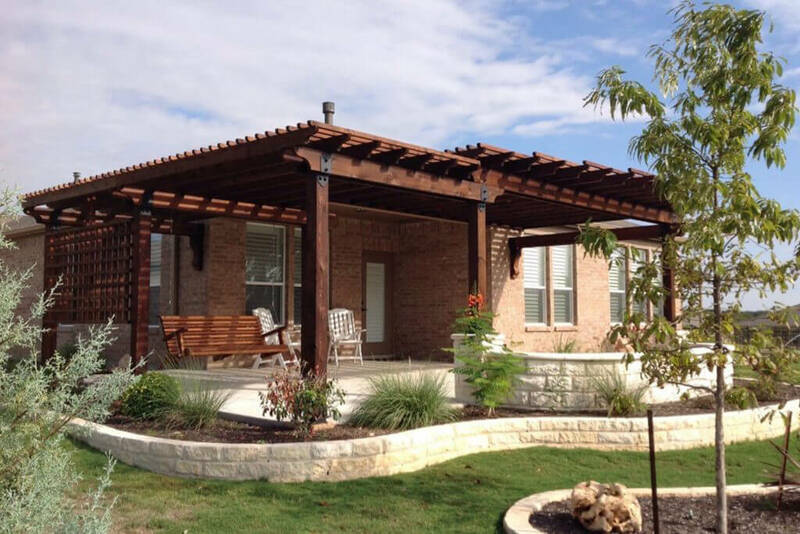 Another style of pergola is one that’s connected to another structure, such as a fence, bench, bar, wooden planter boxes, railing, or archway. 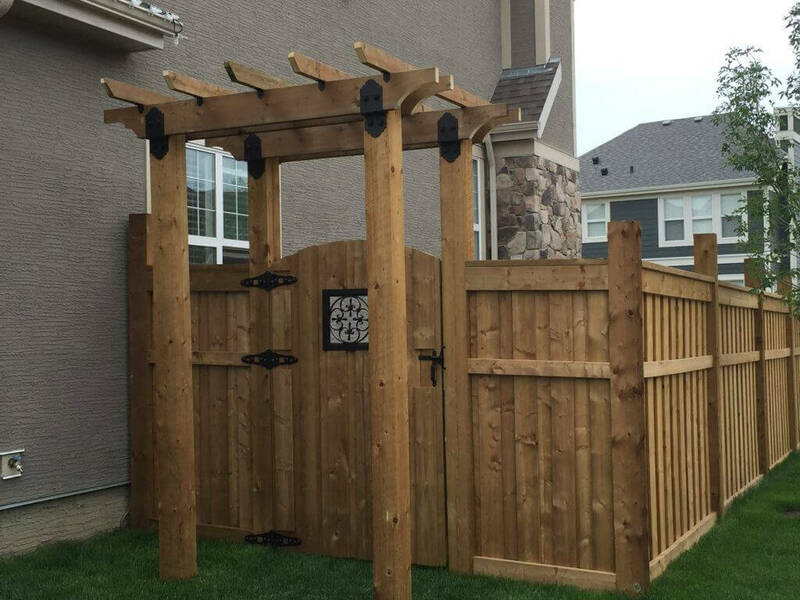 For example, one of the four pergola corner posts may double as a fence post. Or perhaps one side of your pergola is spanned by a wooden box planter, with a trellis extending from the planter to the pergola roof trusses. These connected elements create a high degree of cohesion, which is critical in small spaces. 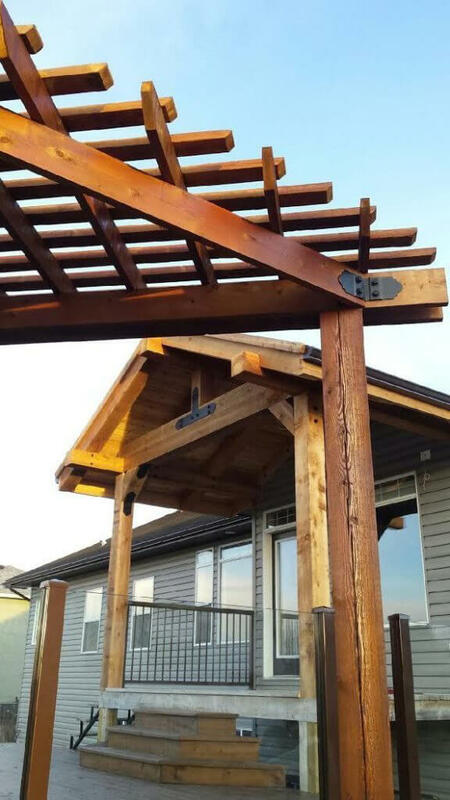 You may opt to connect your pergola to other nearby structures if they’re similar in terms of style. Just be sure that by connecting the structures, you don’t make foot traffic more difficult. The outdoor kitchen and dining area. An outdoor kitchen and dining area makes a great use of your outdoor patio space. 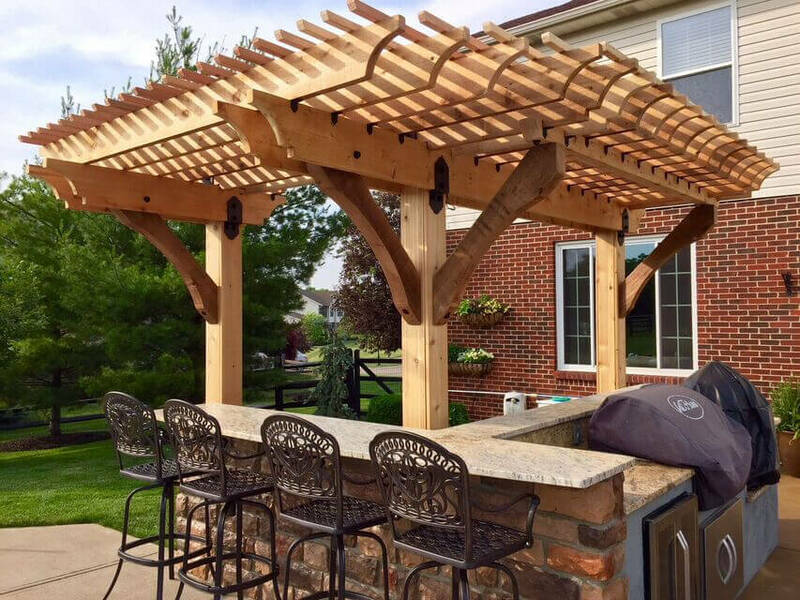 You can place the pergola over your sitting area, adjacent to your grilling area (it’s best to avoid placing the grill under the pergola or any other wooden structure). You may opt to build an outdoor bar that spans one side of the pergola. Then, on the opposite side of the bar (just outside the pergola), build a countertop where you can prepare food and drinks. 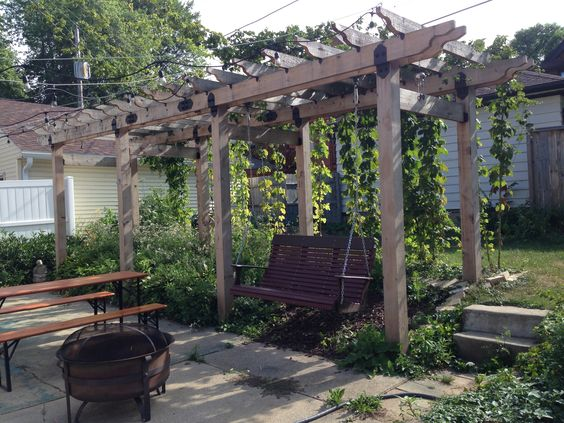 The pergola will create the feeling of an outdoor dining room, and can be extra magical once you add vines, plants, and lighting to your pergola. 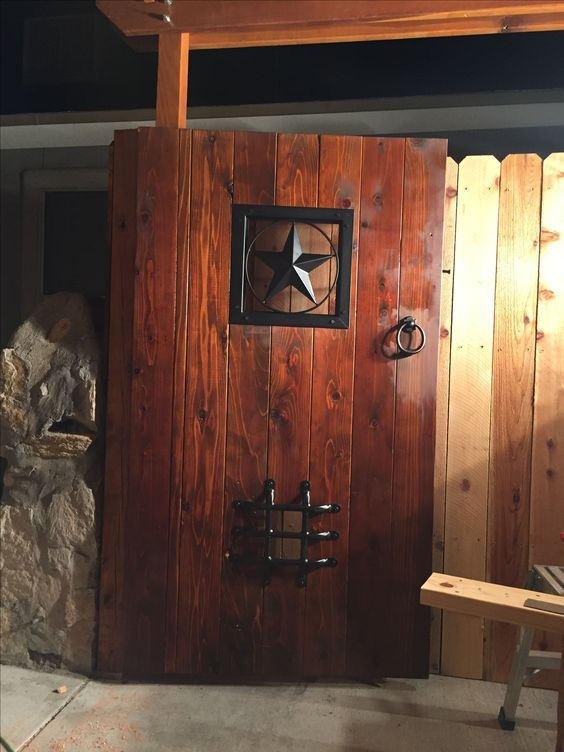 Try building with decorative hardware. Using decorative hardware allows you to add decorative elements without taking up loads of extra space. Decorative hardware can take many forms, including styled post-to-beam supports, rafter clips and ornamental wood ties (which can be functional or purely decorative). 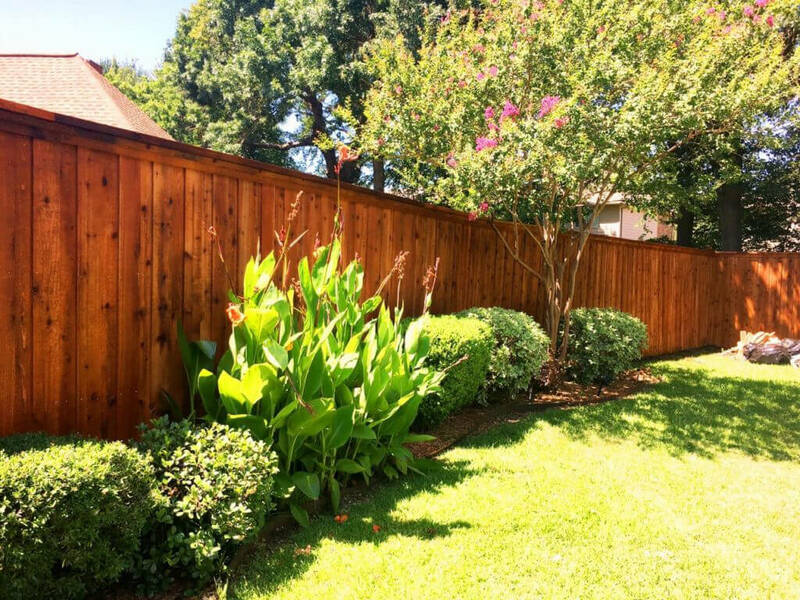 Ornamental inserts can also be added to a nearby fence or gate to add an element of continuity to the area. If you have a porch or deck, you might consider adding matching hardware, such as post bases and rail saddles. Plants can also bring your pergola to life. Plants are a great idea for creating shade in your pergola as well as a space that feels more in tune with nature. You can integrate plants by training ivy to grow up a trellis and onto the roof trusses or you can install plant hooks for hanging plants. While your ivy grows from the ground up, your hanging plants will grow from the top down. This is a great way to create a defined “wall” for your space, without making it seem small or boxy. Lighting always helps. In my opinion, lighting is always a great way to decorate because it can change the whole feel of the area. String lights–be sure to use ones made for the outdoors–draped across the rafters of the pergola or twined up the pergola’s posts are always beautiful. Cloth lantern string lights, bulb string lights, and micro LED copper string lights all work well for this. Hanging Moroccan-style lanterns with LEDs or candles inside also create a magical ambiance as well. If you have a tiny patio and yard area, there’s a good chance your patio is the only outdoor space you have to work with, but a pergola allows you to accommodate all of the items you want, like an outdoor sitting area, grill, bench, trellis, bar, or planting boxes. 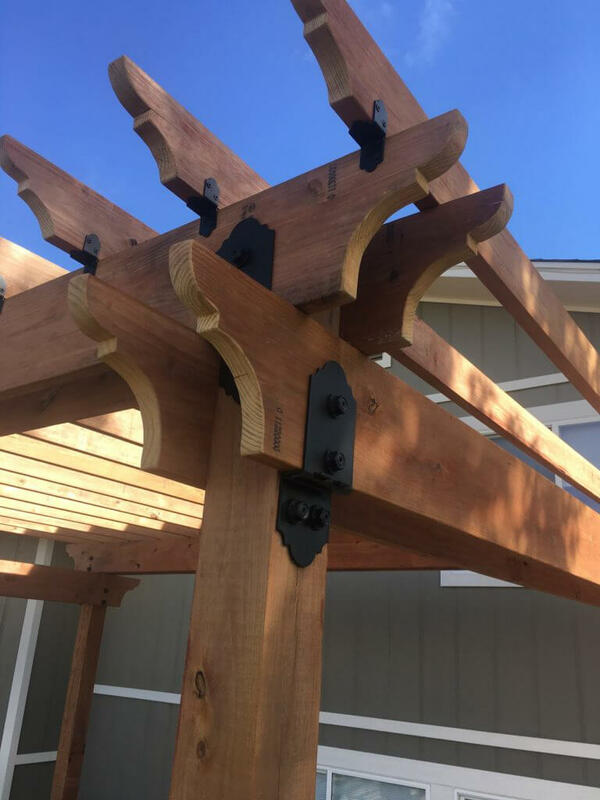 If you’re planning on building your own pergola, I recommend making your way to OZCO Building Products, as it’s my source for all of the hardware I need to get the job done. And if you’re an avid do-it-yourselfer, be sure to check out OZCO’s DIY project plans. These plans come with step-by-step directions and supply lists for pergolas and a variety of other weekend projects, so you can build a beautiful pergola that helps you take full advantage of your small patio with a minimum of stress and fuss. 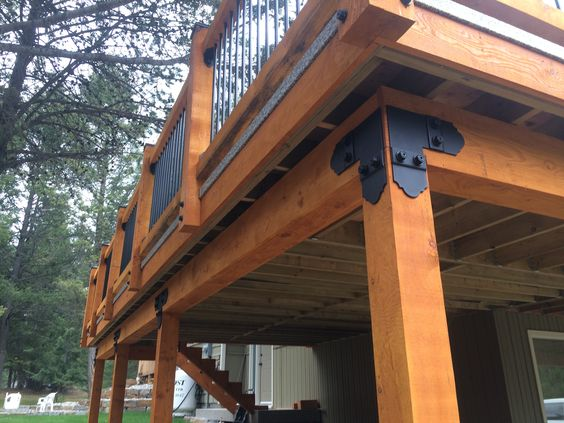 At OZCO our passion and love of manufacturing the highest quality building products for DIY’ers to Pro, while providing How-To’s with step by step instructions for all types of Outdoor Living Structures including a Bill of Materials that are easy to use. Our hardware is designed and manufactured with innovative building breakthroughs so anyone that uses our products will be proud of their work and ours.